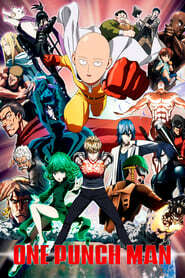 One-Punch Man is a Action & Adventure Animation Comedy TV Series created by . It stars Makoto Furukawa, among others. One-Punch Man is currently rated 8.2 stars on the ReelBugs scale. One Punch Man officially has only one season. still can't believe the difference between this trailer and the season 2's new trailer. The animation is just not satisfying!!!!!!! Came here after seeing Season 2 trailer, whose with me? Who else come here to seek refuge from Season 2 trailer? "For all my power, have I lost something more important?" I just can't wait for season 2 man thats all there is. Here, we present you the Chuck Norris of Anime . Just came from season two trailer... kill me now 😢. Came here after seeing Season 2 PV2, JC Staff did an oopsie with their trailer looking pretty underwhelming, probably just bad editing. Hopefully the actual show will not be a let down, but I'll try to preserve my judgment and be cautiously optimistic. I will always have a place in my heart for Mumen Rider. Anyone can be a hero.